I had the opportunity to attend the event, “Finding Your Niche for Career Success” where Amy Bergen from The Leadership Edge spoke. 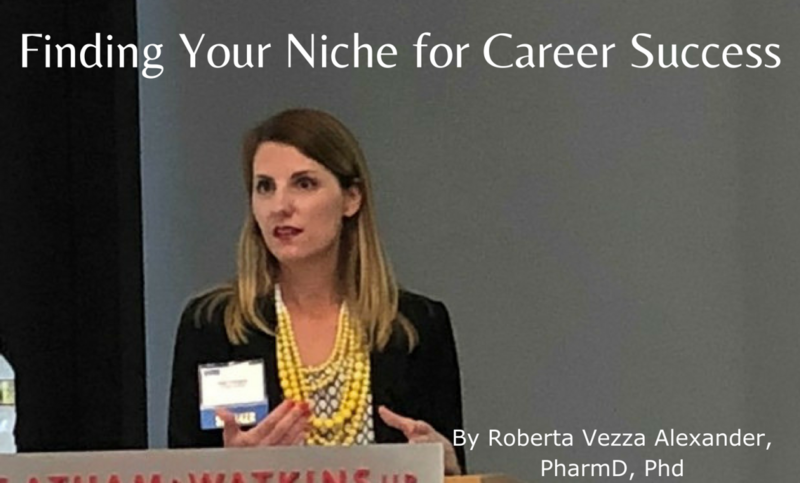 On April 24th, 2018, the Southern California chapter of Women in Bio (WIB) hosted an event focused on finding your niche for career success. Latham & Watkins was the premier event sponsor, while IQVIA is the leading chapter sponsor. The event was held at Latham & Watkins’s beautiful location in the Carmel Valley neighborhood of San Diego. The event started with a networking reception with wine, beer, and delicious spring rolls and other snacks. Alyssa Master, WIB SoCal’s chair, spoke about WIB while Jennifer Koh, a lawyer at Latham & Watkins, described the firm’s commitment to the advancement of women’s careers and to having a diverse population of lawyers. Julie Fishman introduced the event’s speaker, Amy Bergen. 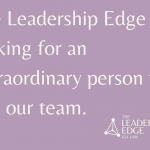 Amy is the VP of Business Development at The Leadership Edge, an organizational development consulting company. Amy has been guiding women in their career development for over 10 years and her interactive talk was meant to assist the attendees in finding success in their careers. A career is the result of skills, education, interests, vision, and goals. When thinking about your career goals, do not think about a specific position, title, or company; rather, think about your strengths and vision. 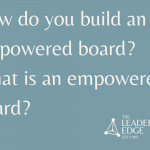 Ask yourself if you enjoy leading others and if you would prefer a small group or a large one; if there is a particular area of science or business that excites you; if you are already in the field that interests you, or if your ideal career would require a change. As Denise Morrison once said, “Successful careers don’t just happen. They require thought, strategy, and management.” When mapping out your career path, be clear about what you want, develop a plan to make it happen, and continuously seek opportunities to grow and develop. Put clarity in your ideas: think where you are, where you want to be, where the gaps are, and how to close them. By understanding your company’s current needs, challenges, and opportunities, you can find areas that are of value to your company and also beneficial to you. Talking with your colleagues not only gives you visibility, but also allows you to understand how your talents and strengths can be leveraged for greater business success. Manage your career by spending some time thinking about it every month or quarter. Share your goals with your manager, if appropriate. Think about two or three things you can accomplish within the next year or the next 7 days. As change is inevitable, make a plan that is flexible, but work on achieving it. There are many opportunities to grow and develop also outside of your company. For example, attend professional development classes and conferences and read publications, newsletters, or white papers. Participation in associations and events allows to develop a strong network. A mentor can definitely be helpful, but evaluate your goals and gaps first. Finally, keep in mind that up is not the only way a career can go, first-of-all because the higher you go, the fewer opportunities there are. Consider that a lateral move, a relocation, or a step back when starting a new career can all be valuable and rewarding options. Throughout her presentation, Amy encouraged the attendees to share some of their short and long terms goals and ended by providing useful resources, such as a reading list and links to blogs.